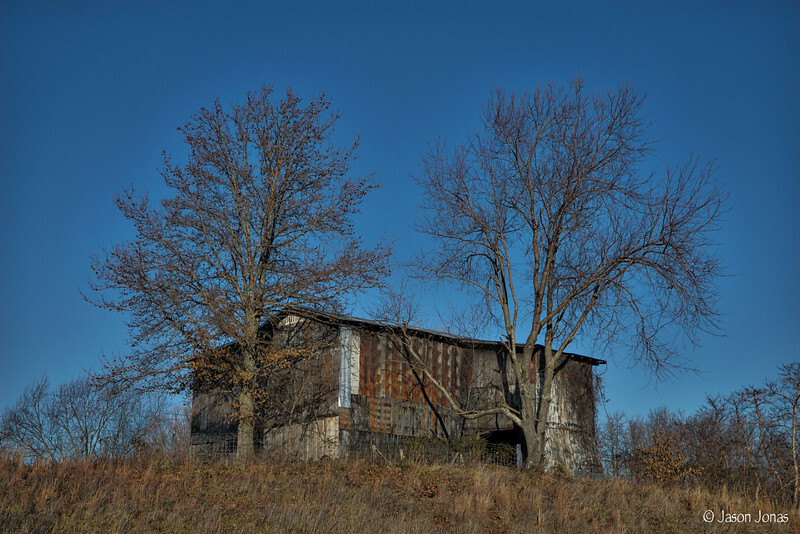 Wherever I may roam I'm always on the lookout for old barns, buildings, farms or other old, dilapidated structures. This is where they live. This barn is on the west side of I-65 at MM 10 just north of Franklin, KY. It sits up on a hill. On cloudless mornings the sun lights up the barns's eastern face and exposes its brilliant colors.